Well, there you have it! 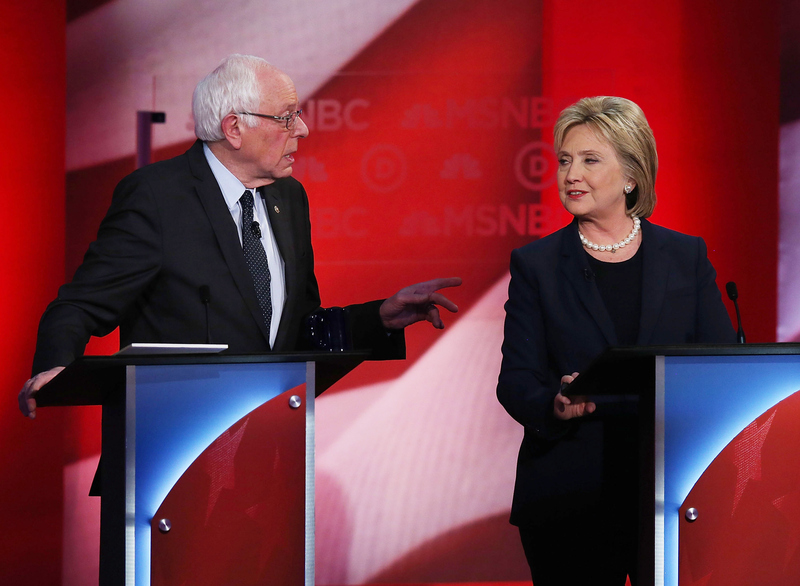 You just watched the sixth Democratic presidential debate, yet another chance for Hillary Clinton and Bernie Sanders to make a high-profile pitch to voters before the South Carolina Democratic primary just weeks from now. And make no mistake, the stakes had never been as high as they were heading into Thursday night's showdown, and they'll keep getting bigger and bigger for as long as the race is competitive. But let's forget about the politics for just one second ― this single Democratic debate tweet says what anyone who watches these things regularly was actually thinking. The candidates weren't in the same combative form they struck last week ― since the last debate in New Hampshire, which a number of times got heated and contentious, it seemed virtually a sure thing that you'd see some sparks fly on Thursday night. After Clinton claimed a narrow victory in the Iowa caucuses, and Sanders rolled to a big double-digit win in New Hampshire, the primary race officially hit a level of drama that once seemed unthinkable, between the once-inevitable front-runner and the once-anonymous underdog. But thanks to the sky-high margin Clinton leads by in South Carolina (she's up by about 30 points there), her camp clearly went with the strategy of playing things safe and sitting on the big lead. But you know what plenty of folks probably had on their minds? As that first hour slid by, then on past the 90-minute mark? How about this: Could we maybe get a brisk debate this time? Yes, Chris Cillizza of the Washington Post is dead-on here ― that was maybe the tightest, tidiest debate we've had the luxury of seeing this campaign season, both in form, flow, and the simple act of wrapping up ahead of schedule. And that's very welcome, considering how some of these have gone ― for instance, CNN's monstrosity of a Republican debate at the Reagan Library back in September stretched out to a staggering three hours. Even the channels that haven't been quite as aggressive about stretching things out have been routinely breaching their scheduled two hours. That's not just a slog for the millions of people watching the debates, or the people writing about them ― it hurts the quality you get from the candidates, too. Simply put, a stage full of tired, overheated, physically drained politicians usually isn't overflowing with trenchant policy analysis, nor sizzling with conflict and excitement. It's just one reason that before and after that CNN debate, GOP front-runner Donald Trump voiced his typically boisterous displeasure. Luckily for Sanders and Clinton, they didn't have to worry about PBS keeping them stranded on stage ― the magic of public media, huh? Unfortunately, if you're getting antsy to find out who exactly's going to win this thing, that'll require a much longer wait. South Carolina Republicans will be holding their primary on Feb. 20, while the Democratic primary won't be held until Feb. 27.